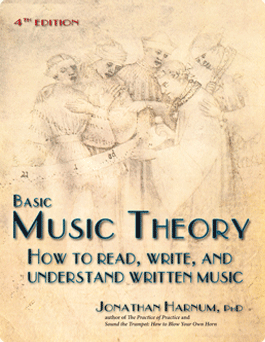 Since 2001, the most popular book to help you learn to read music. Chapters are short and simple, always friendly and sometimes funny. Used by the LA Film School, colleges around the US, as well as middle schools, high schools, home schools, and others interested in a fun, simple way to learn how to read music. Click on the book to learn more, or visit Sol Ut Press. Free shipping from Sol Ut Press. Jonathan Harnum has taken an overly complicated subject matter and made it learnable for anyone. And I do mean anyone! !I have been a student of music for over 13 years and a teacher for 3 and I found myself finding new and interesting (and humorous) facts about music theory. This book can teach anyone music theory and keep a smile on their face the entire time. Practice Like This is tightly packed with the very best strategies, mindsets, and practice hacks, so you don’t waste time reading, but get right to the good stuff. Most topics are covered in a page or less. All killer, no filler. The strategies in Practice Like This are powerful, drawn from psychology, biology, educational research, and from world-class professionals in many fields. Practice Like This makes a great gift for anybody trying to get better at anything. Whatever your passion is, you’ll find this book useful. Don’t forget to check out the book extras page. 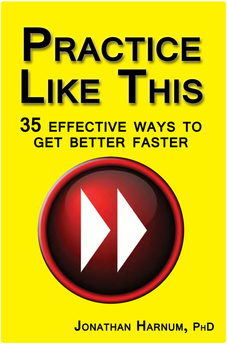 A good survey of ideas to help you make practicing any task into habit. Has numerous links to videos and articles that reinforce points made in the text. If you are struggling with motivation and structure in your practice, this may give you that shove to succeed. Sound the Trumpet is packed with information no trumpet player should be without. Chapters are short, well-paced and enjoyable. Take advantage of the Bonus Material, including recordings and other online content. 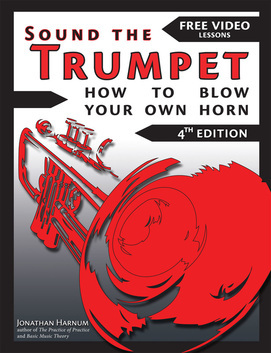 Whether you’re new to the world of trumpet or an experienced player who needs to bone up on your rusty skills, or whether you need a fun way to teach trumpet, you’ll find this book valuable. Music educators have found this book to be very helpful in their college methods classes and as a practicing teacher. Visit AllAboutTrumpet.com for more. This book is the most thorough treatment of the various aspects of trumpet playing that I have seen. Very informative and helpful. Even my current teacher, who has played with the Metropolitan Opera (NYC), was impressed.